India has one of the most colorful and aromatic cuisines in the world. Varieties of Indian food is countless. The Traditional Indian food is widely appreciated for its fabulous use of spices and herbs. Indian cuisine is famous for its large assortment of dishes. The cooking style varies from state to state and region to region. Indian food has many crown jewels which are hidden in many homes in Indian villages and towns. 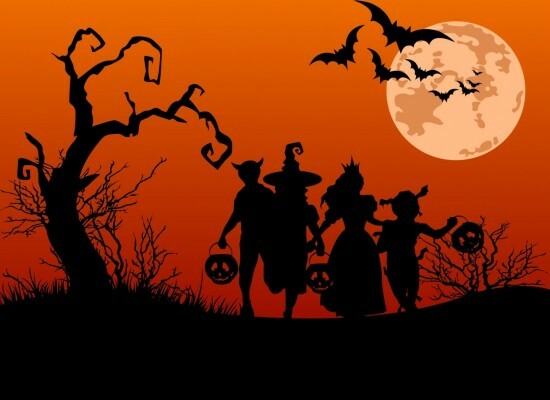 The entire country is suffused with scent of spicy curries coming from local restaurants and street stalls. A typical Indian meal consists of salty, creamy, sweet, spicy, hot and pungent flavors. Many regional specialties are enjoyed throughout India, and worldwide. Rajasthani cuisine is an array of colorful, spicy and unique dishes. It offers a fabulous variety of mouthwatering dishes. The food style of this fabulous desert state of India is affected by the natural indigenously and topography available ingredients. 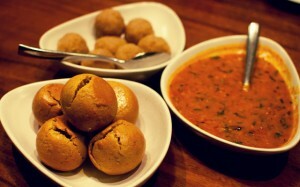 Dal Baati churma- Dal Baati Churma is Rajasthan’s most favored and famous meal. It is a Rajasthani dish which has three servings termed as dal, Baati (baked wheat balls), and churma (sweet cereal powder). Baati is served with dal and churma. 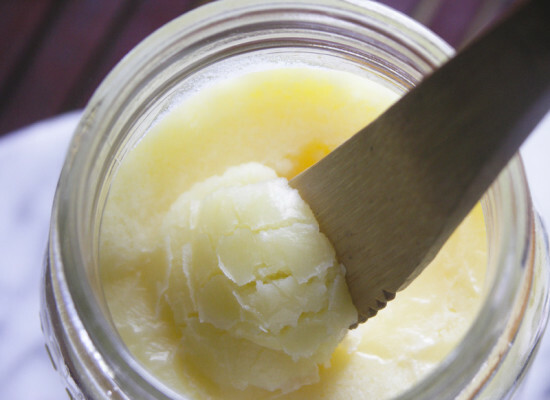 Ghee is applied on Baati to make it more delicious. Gatte Ki sabji- It is known as a spicy dish in Rajasthani Thali. It consists of the rolls of besan poured into the gravy of sabji and then cooked with pouring spices into the same. Bajre Ki Khichdi- Khichdi is easy to digest and is healthy Indian food prepared from rice and lentils. 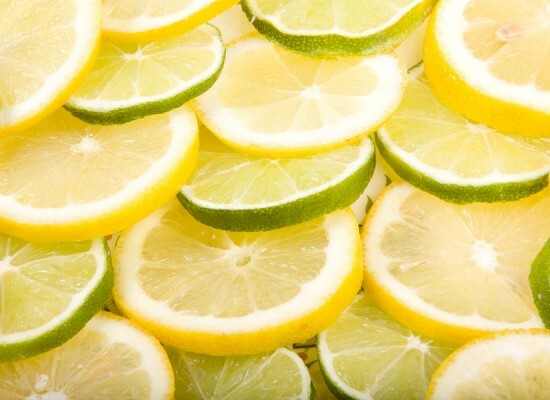 Vegetables such as potato, cauliflower and green peas are commonly added. Jodhpur Mawa Kachori- Mawa Kachori is a sweet made of mawa stuffed in kachori. It is a very prestigious and special dish originated from Jodhpur, Rajasthan. Ghewar- Ghewar is a delicious Rajasthani sweet which consists of rounded cakes of wheat flour in which sugar syrup is poured. Paneer ghewar is garnished with paneer and is highly demanded for their tasty flavor. Besan Ki Chakki- It is a traditional Rajasthani sweet made of Gram flour. Gram flour is a major ingredients here which is used to make some of the delicacies like gatte ki sabji, khatta, pakodi etc. The traditional Gujarati food is primarily vegetarian contains a high nutritional value. Gujarati cuisine has so much to offer and each and every dish has an absolutely different cooking style. It is mostly served on silver platters along with rice and wheat breads. The most popular form of meal of Gujarat, a typical Gujarati thali or meal consists of dal, roti, rice and Shaak which is cooked vegetables, with accompaniments of pickles and roasted papads. Popular beverages consists of buttermilk and tea. Sweet dishes of Gujarat contains laddoos and mango. Handvo- It is a traditional Gujarati savoury cake. It is a nutritious meal in its own right when served with chutney and buttermilk. It is crispy from outside but soft from inside. 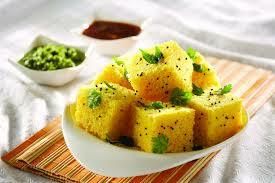 Khaman Dhokla- Khaman Dhokla is a very famous food savored by Indians around the world. It is traditionally made from Bengal gram lentil. It is very fluffy, soft and spongy in texture. 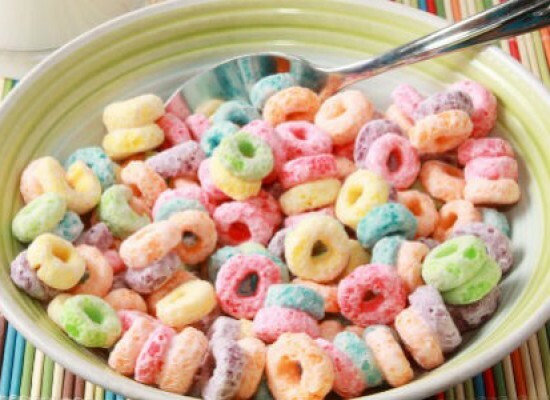 It is perfect as a snack for any time of the day. Mohanthal- It is a traditional sweet of Gujarat. It tastes a bit like fudge and is one of the most popular and traditional dishes served at Gujarati weddings. South Indian cuisine is based on rice. Rice is combined with lentils to make wonderful dosas, vadas, idlis and uttapams. They are combined with sambhar, rasam and curried vegetable etc to give them a delicious flavor. 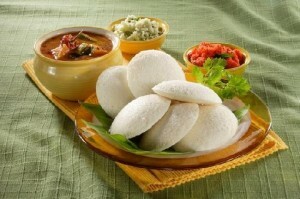 South Indian food is also famous for its mixture of coconut, a wide variety of fishes and root tubers. Kerala is another state of South India. In this state, the food of localites is fish accompanied with rice of usually large size grains. Kerala cuisine also has a variety of chutneys and pickles, and crunchy pappadums, banana chips etc. In Andhra Pradesh, the food prepared is believed to be quite spicy and hot in nature. Some of the most famous eatables of this state are kurmas, yummy grilled kebabs and the delicious Biryani. 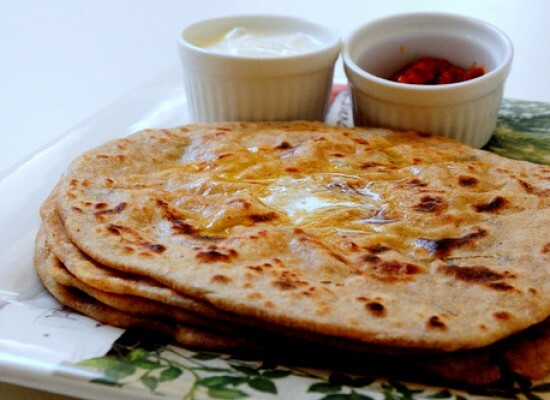 Punjab is known for its spicy, delicious and butter laden food throughout the world. 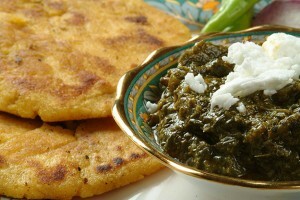 Sarson Da Saag and Makki Di Roti- It is the traditional winter dish of Punjab. It is highly nutritious as it contains mustard leaves which are great source of iron and protein. It is served with lots of butter ad ghee. Lassi- It is the favorite drink of Punjabis. It is made from beaten curd and milk. It is mostly served there in steel glasses. Rajma Chawal- It is one of the main course dishes of Punjab. It is served with steaming hot boiled rice known as chawal. 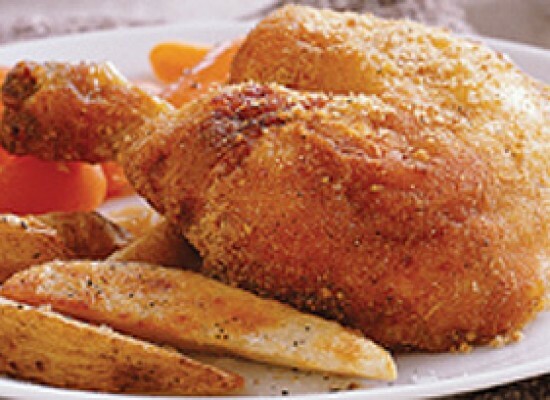 It is a wholesome meal because it is rich in carbohydrates, iron and as well as in protein. Butter Chicken- Punjab is famous for its spicy and best chicken dishes whether it is tandoori or curry chicken. It is high in calories but a mouthwatering creamy dish as it contains butter. It is served with butter naan.